Michael Wacha threw 181 innings after being shut down for vague shoulder reasons, but nearly all of the bad ones came at the end of the season, and when he can't throw his fastball over the plate he's a remarkably frustrating—and given those vague shoulder reasons, worrying—pitcher to watch. Jaime Garcia is not healthy. Now Lance Lynn is not healthy, despite being 29 years old and built like a cargo plane and used judiciously and, for the last couple of years, in the literal best shape of his life. So the Cardinals have options, and they'll have to use them. Brett Anderson and Scott Kazmir are never healthy, but they're on the list. Tyler Lyons is 28 and also built like a cargo plane, and for the last three years he's made as many starts between Memphis and St. Louis as a left-handed pitcher can while earning elite status on Southwest. 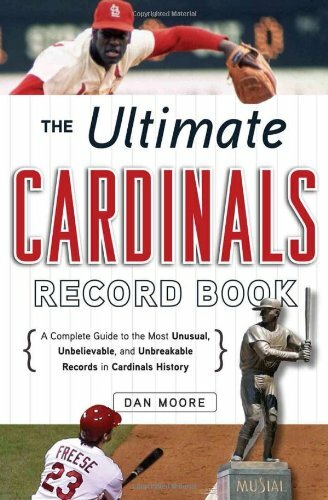 Assume that Marco Gonzales gets healthy and Alex Reyes remains eligible, or that the Cardinals make their first big leap into free agency in years and it's not Jason Heyward—or that it is Jason Heyward and they trade out of what might charitably be called their outfield depth for what might charitably be called another team's rotation depth. But assume there are no healthy pitchers.